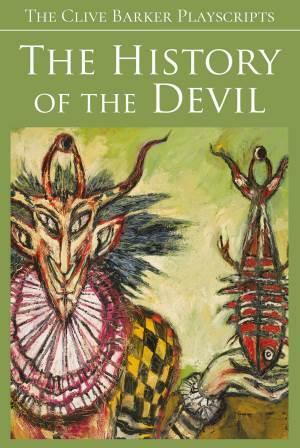 We're delighted to announce that a series of Clive's full play scripts is being published by The Clive Barker Archive. 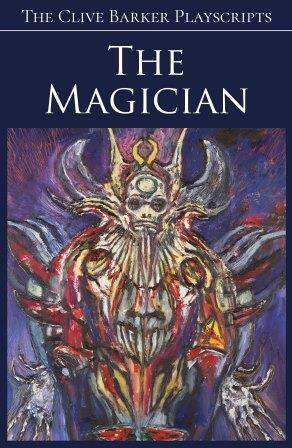 This is the first edition of The Magician which is a one-act play in the Commedia dell' Arte tradition. Originally performed by The Dog Company in 1978, this first publication of the full script includes 14 photos of the original production, poster art and manuscript pages from The Clive Barker Archive. The History of the Devil is one of Clive's most successful plays, with productions continuing around the world long after it was first performed by The Dog Company in 1980. This new publication of the full script includes 7 photos of the original production, poster art and manuscript pages from The Clive Barker Archive. Clive : "These plays are not finished things, they're invitations to collective work... These are blueprints, not houses. I am laying out the ground rules for a circus, and inviting wild beasts, clowns, and strippers on to parade themselves in any and every combination. Phil & Sarah Stokes : "We're delighted to be continuing to release titles in the new series of Clive's play scripts as affordable paperbacks. 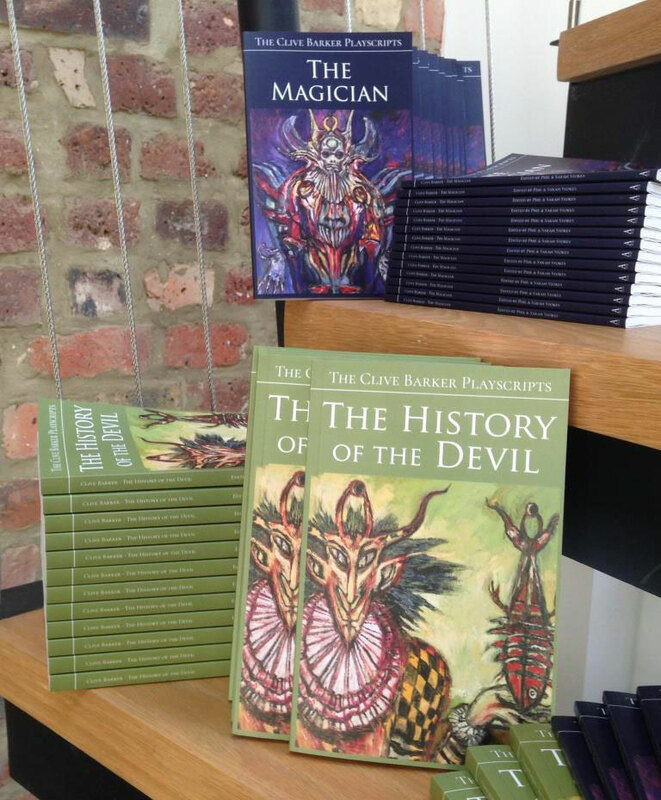 It's been great to hear all the positive comments about The Magician and The History of the Devil - a huge thank you to everyone who has ordered them (and we hope to see productions springing up worldwide!). "Our next two titles are Crazyface and Hunters in the Snow, set for publication in a few weeks' time." 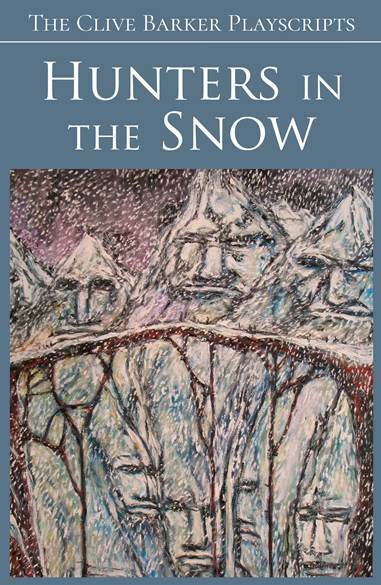 Phil & Sarah Stokes : "Hunters in the Snow is set in a medieval, Breughel-inspired landscape and features a character called The Dutchman - a dark, undead witchfinder, summoned by mysterious means - with traits that would later feed into Clive's Mamoulian and Pinhead characters. Staged in the illustrious Everyman Theatre in Liverpool for just two nights in 1973, this text is a must-read for anyone interested in reading an early iteration of themes that would continue to infuse Clive's writing for many years. 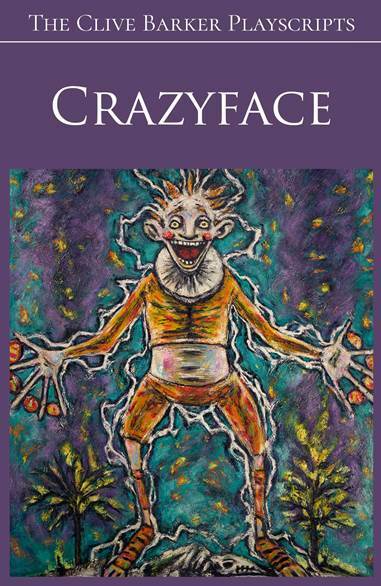 "Crazyface was written as a piece commissioned by The Cockpit Youth Theatre in London in 1982. The play follows the trials of a family of fools - particularly the path of Tyl Eulenspiegel as he becomes unwittingly embroiled in a frantic Europe-wide scramble for control of a secret for which nations will go to war..."